Virat Kohli was dismissed for a well made 71 in the third ODI against England. The Indian skipper was well set, and looked in sublime touch, before Adil Rashid produced a special delivery to get rid of him. In the first ball of the 31st over, Rashid bowled a leg spinner which turned miles, and beat Kohli's defense to rattle the off stump. It was a type of delivery which Rashid barely produces. But today he did, and the Indian skipper was bamboozled by it. 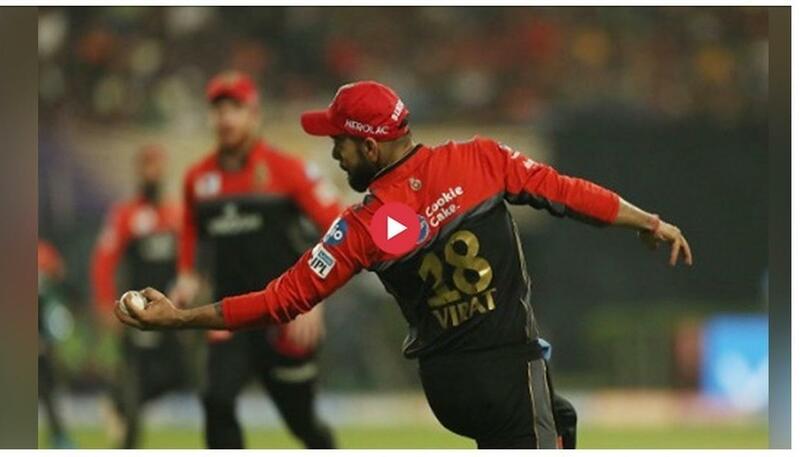 But what was interesting was the reaction of Kohli after getting bowled. The India batting star was in disbelief, and literally fell into a state of shock. After a few seconds, he returned to normalcy and headed back to the pavilion. 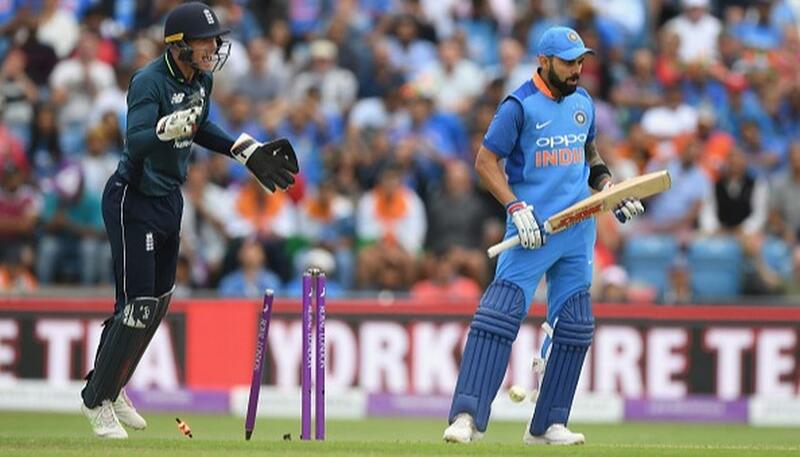 Earlier in the day, England skipper Eoin Morgan flipped the toss in the series decider, and Kohli predicted it to be heads. He was wrong, and England won the toss and chose to field first. There was one enforced change for the hosts, with James Vince repalcing Jason Roy. When Kohli announced India's starting XI, the fans were left stunned by one decision. Bhuvneshwar Kumar and Shardul Thakur had replaced Umesh Yadav and Siddharth Kaul. It was expected, given the latter two were expensive in the first two matches. But when the Indian skipper told that Dinesh Karthik had replaced the excellent KL Rahul, the Indian fans were shocked. It was a decision which didn't make much of a sense, given the form and talent of Rahul. India's innings got off to a worst possible start as they lost Rohit Sharma in the fifth over for a mere two of 18 balls. Since that dismissal, Shikhar Dhawan and Kohli picked up the pieces and lifted their side to a good position. Dhawan was looking particularly aggressive, and the England bowlers were struggling to get rid of him. But calamity struck for the visitors, as Dhawan was run out on 44 by a brilliant piece of fielding by Ben Stokes. In came Dinesh Karthik, and he looked comfortable in his stay at the crease. But his time at the crease was short-lived, as Rashid sent him back to the pavilion. And a few overs later, Kohli followed suit.